Today would have been the 84th birthday for one of the greatest musicians of all time, John Coltrane. Even 43 years after his death, his music is still just as powerful and relevant as it was when he first recorded it. Coltrane continues to amaze music fans of all ages and generations. The man was amazing. 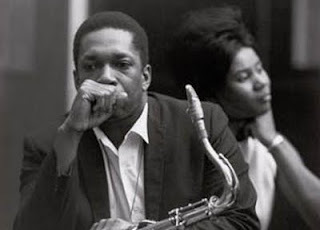 Coltrane was a genius, that's for sure. I have "A Love Supreme." Every time I play it I hear something new. All the intricacy of Bartok or Schoenberg and as much intensity and power as any blues singer or heavy metal band.